The Only U.S. President Who Spoke English As A Second Language Was? A Deadly Wave Of What Swept Through Boston In 1919? 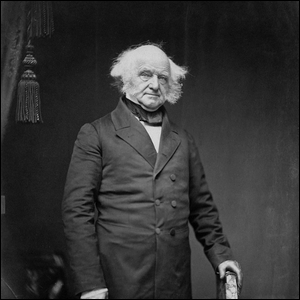 There are more than a few curious things in the history of U.S. Presidential politics, but if you’re looking for a particularly novel thing that only occurred once among every person that has ever held the office, then look no further than Martin Van Buren, president from 1837-1841. Perhaps not the most remarkable of presidents—unless you’re a history buff, there’s a good chance that you don’t remember a single thing about him from your history lessons long ago—but the only president that spoke English as a second language. How exactly did an American-born president arrive at the Office of the Presidency in such a state? Van Buren was born in Kinderhook, New York to a family of very traditional Dutch Americans that raised him to speak Dutch. Later, he learned English at school. While it’s always possible that such an interesting curiosity could arise again in the future, given that the vast majority of children today being raised in households where the parents don’t speak English typically learn English alongside their family’s language thanks to immersion, it would certainly be unique. It would seem that our only hope for such an arrangement would be if a child from a strictly traditional and isolated community, where they only spoke a non-English language, grew up to be a motivated politician. Image courtesy of the Metropolitan Museum of Art/Wikimedia.